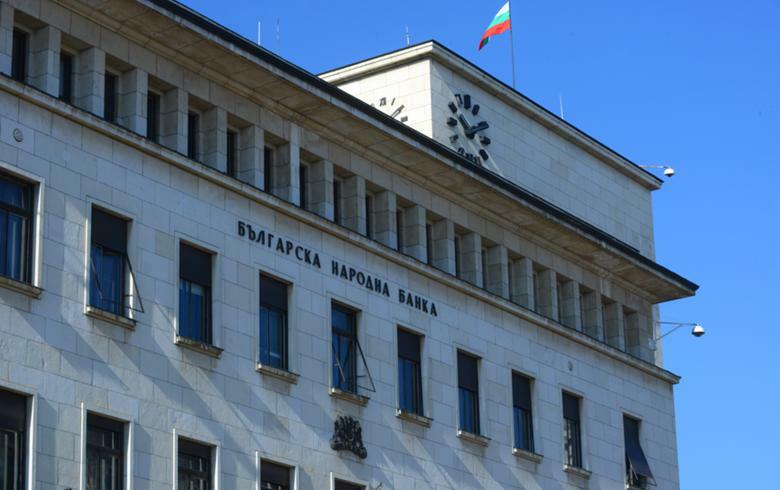 SOFIA (Bulgaria), January 17 (SeeNews) - Bulgarian banks should apply conservative lending scenarios to mitigate possible risks stemming from cyclical macroeconomic trends and external shocks, the country's central bank, BNB, said. The banks should not allow an erosion of their capital and liquidity positions, BNB said in a quarterly report published earlier this week. The warning comes amidst a comprehensive assessment of six banks in Bulgaria by the European Central Bank (ECB) - part of the process of establishing close cooperation on supervision with BNB. The finance ministry has requested close cooperation with ECB on banking supervision as part of the Bulgaria's commitments taken in a letter of intent for participation in ERM II, the EU mechanism for preparation for joining the Eurozone. Bulgaria intends to enter the mechanism for close cooperation and ERM II simultaneously. Rapid lending growth as a result of favourable macroeconomic trends may create cyclical risks, manifesting themselves in the event of a future increase in interest rates in the Eurozone, and subsequently in Bulgaria, BNB said. The citizens' capacity to regularly service their loans would also be affected by weakening of economic activity due to external shocks. "In a short-term perspective, the risks to economic growth in the EU are related to both global factors such as the US trade policy, and to uncertainty about the economic aspects of Brexit and the political situation and the state of public finances in Italy. These factors could have an adverse impact on Bulgaria indirectly via the channels of foreign trade and financial flows in the EU," BNB explained. "Apart from these immediate risks, the financial state of borrowers would be negatively impacted by the economic cycle entering a downtrend, which will take place within the maturity of long-term credits, mostly mortgages." Against this backdrop, an expansion of credit activity which does not take into account the long-term credit risks would lead to deterioration of the quality of the assets of the banking system. The percentage of non-performing loans in Bulgaria's banking system is currently above the EU average, and with some credit institutions its high levels are combined with below-average provisions for impairment, BNB said. Non-performing loans in Bulgaria's banking system dropped to 7.4 billion levs ($4.314 billion/3.78 billion) in the third quarter of 2018, and by late September the share of bad loans fell by 0.6 percentage points to 8.5%, according to BNB data. "At present the capital and liquidity positions of the banking system are sufficiently strong to allow for the absorption of possible future realisation of credit, market and liquidity risk. A continuous increase in the share of assets with a higher risk degree and lower liquidity, however, could undermine the capacity of the banking sector to withstand risks. Furthermore, even though on sector-level the credit institutions' capital is above the required minimum, the capital surplus is distributed unevenly within the banking sector," BNB said. The total assets of Bulgaria's banking system reached 103.2 billion levs at the end of September, up by 3.1% as compared to a quarter earlier and equivalent to 97% of the country's GDP. The combined net profit of the banks operating in Bulgaria increased to 1.22 billion levs in the January-September period of 2018, from 872 million levs a year earlier. In November, ECB said that it will undertake a comprehensive assessment of six banks in Bulgaria as part of the process of establishing close cooperation on supervision with BNB. ECB said it will test the four largest lenders in Bulgaria in terms of assets - UniCredit Bulbank, DSK Bank, United Bulgarian Bank (UBB) and First Investment Bank (Fibank) [BUL:5F4], as well as lower-ranked Central Cooperative Bank (CCB) [BUL:4CF] and Investbank. The assessment of the six banks includes an asset quality review and a stress test. The aggregate and bank-by-bank results are expected to be published in July 2019.